Gonzalez Byass has launched a Sherry-based RTD in the UK. 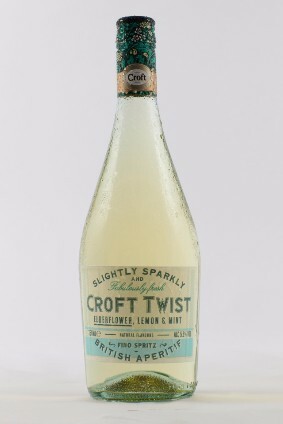 Croft Twist, which has been rolled out across the country this week, comprises a carbonated blend of the company's Croft Fino Sherry with elderflower, lemon and mint cordials and water. The product, designed to be consumed as an aperitif, is aimed at female consumers between 30 and 45 years old. The off-premise release starts in branches of Waitrose before becoming available online through Ocado. On-premise distribution will be handled by Matthew Clark. "Croft Twist is the most … visually exciting product that the company has launched in recent years," said Martin Skelton, MD of Gonzalez Byass UK. "We are thrilled to bring such a unique product to market and strongly believe it has all the ingredients to be a huge success." Earlier this week, Gruppo Campari announced plans to release its Crodino non-alcoholic aperitif in the UK. The launch hopes to capitalise on the "increasing consumer demand for alcohol alternatives" in the country, Campari said. Croft Twist, a sparkling ready-mixed long drink, is being launched by Gonzalez Byass UK today, 30th May. The product development has been in response to in-depth research undertaken by the Company over the last two years into changing consumer habits in alcohol consumption. "Croft Twist is the most delicious and visually exciting product that the Company has launched in recent years, a true innovation" says Martin Skelton, MD of Gonzalez Byass UK. The drink is a take on the refreshing Andalusian 'rebujito' (which is Fino sherry, lemonade laden with ice with a garnish of mint). This British version is more elaborate as it blends natural, freshly made elderflower, lemon and mint cordials with Croft Fino and water; all gently sparkled. The drink is best served with a garnish of basil or mint and lots of ice. Its alcohol content is 5.5%. Research identified that 30-45 year-old female drinkers, those that seek out new experiences, are the primary target market for Croft Twist. It also uncovered their love for heritage brands that reinvent themselves in a respectful and creative way. During extended trials, consumers found Croft Twist to be the perfect aperitif when transitioning from the busy working day to fun, social time with friends and family. Therefore Croft Twist is made available to share in a 75cl bottle and is being launched in Waitrose followed closely by Ocado. 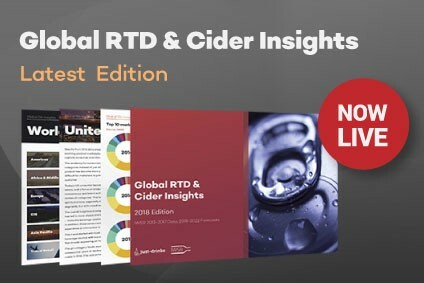 The RSP is GBP7. Matthew Clark is assisting with distribution in the on-premise. The launch will be supported by customer promotion, widespread advertising on Facebook and sampling at summer events. "We are thrilled to bring such a unique product to market and strongly believe it has all the ingredients to be a huge success" says Skelton. Kingsland Drinks. The country's most professional bottlers. Kingsland were open to the challenges of dealing with the delicate and natural ingredients in Croft Twist. They also happen to have the most advanced bottling technology for sparkling beverages. Belvoir Fruit Farms. The UK's premium, natural cordial producer. Elderflowers are picked in June and turned into their wonderful cordial. Belvoir also created another bespoke Lemon & Mint cordial for Croft Twist. Gonzalez Byass SA. For the delicious Croft Fino for course!